The latest versions of Raspberry Pi require much more power than the older ones did. Previously, a USB power cable was all you needed but with Raspberry Pi 2 and 3, it is different. 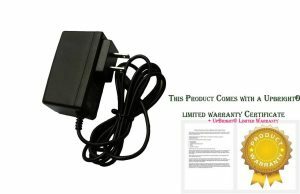 Efficient power supply is crucial to work on projects and for that, you will need to purchase the best. 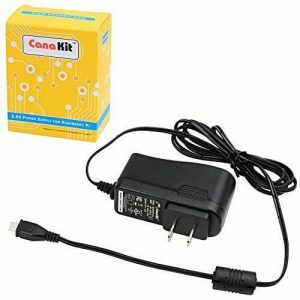 This UL listed power supply from CanaKit is the best of its kind out there. Even Amazon thinks so! It comes with a micro USB plug and a 5 feet long cord, making it pretty flexible and easy to use. The power output is 5V DC 2.5A. This is the metric that Raspberry Pi recommends! The input is 100 to 240 V AC. 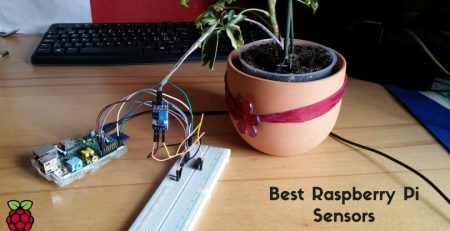 It has been tested and verified to work seamlessly with all versions of Raspberry Pi. 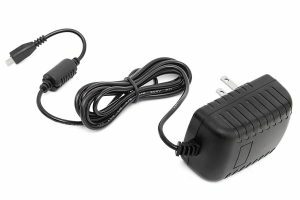 If you use your Raspberry Pi a lot and are worried about overuse or high power requirements, this is the power supply you must grab without a second thought. It has been designed to meet these requirements! It can power your Raspberry Pi even when all the 4 USB ports are being used simultaneously. It has no overheating problems and does not get hot even after a period of time. Many users say that they love how it has been constructed – it is clean and strong. There is nothing to install here. Just plug it in like a regular charger and start using it! 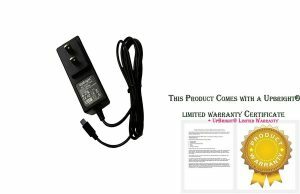 It is the cheapest micro USB power charger on the market today. Mainly, This Pi Hut designed PSU is CE certified so that you can use it with your Raspberry Pi anywhere in the world. 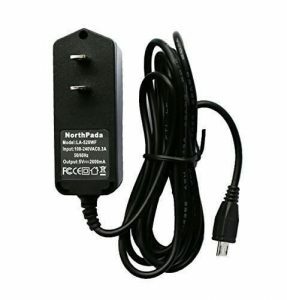 NorthPada power supply is not only used for Raspberry Pi models but also utilized for all Android smartphones and tablets. You can say it is a great Raspberry Pi power adapter with proper amperage. You can directly charge your Pi setup from the wall socket just like a phone using this Raspberry Pi power adapter. Due to it is CE certified, you can use it worldwide by leaving the worry about the safety standards of electronics components. The NeeGo 2.5A power supply is specially designed tested for Raspberry Pi 3. It delivers maximum Power to avoid from a reboot. It has a noise filter to obtain stability in spite of heavy use. 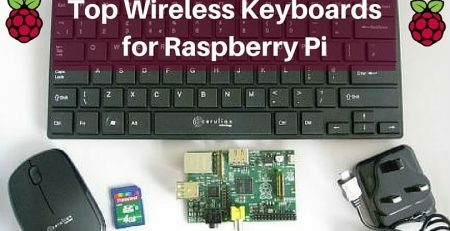 It fulfills all Raspberry Pi power requirements and also can be used to power Kindle and other devices too. 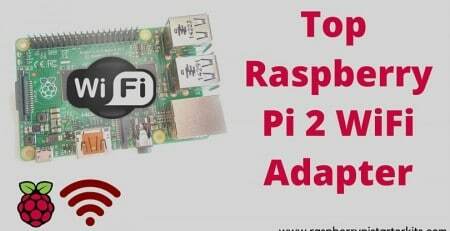 Though it is specially meant for Raspberry Pi 3, you can also use it with other Pi models like Pi 2, Model A+, original Raspberry Pi, etc. The all-in-one power supply from Gowoops has a special design with LED lights to let you know the on/off situation of the source. 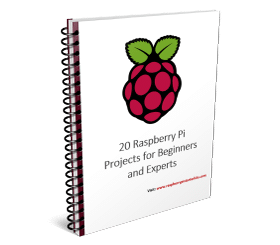 It is compatible with Raspberry Pi 2, Pi 3, and all other Pi models. 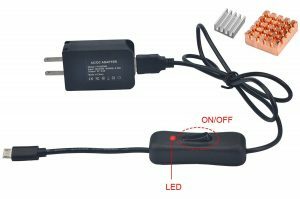 The convenience of this power adapter charger is making it preferable by many electronics enthusiasts doing their Pi projects worldwide. If you want a system stability and performance with your Raspberry Pi circuit, then stick with the 5V 2.5A power supply from Enokay. 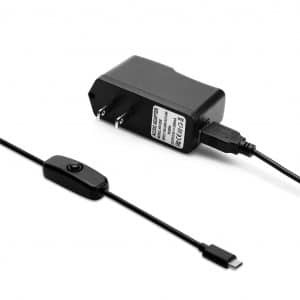 It is a versatile power adapter which you can use with the SBCs like Raspberry Pi, BeagleBone, Android devices like smartphones, tablets, and other similar machines. Many reliable starter kits come with a power supply that you can depend on. However, if you need to buy one separately, we recommend you to follow this list. Our personal vote goes to CanaKit 5V 2.5A Raspberry Pi B+ Power Supply because it meets the needs of every Raspberry Pi user and is affordable at the same time. What are your thoughts? We are eager to hear from you!